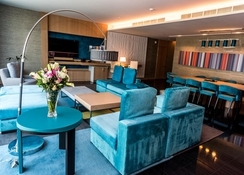 Located across from the Burj Khalifa with direct access to The Dubai Mall via an air conditioned walkway. 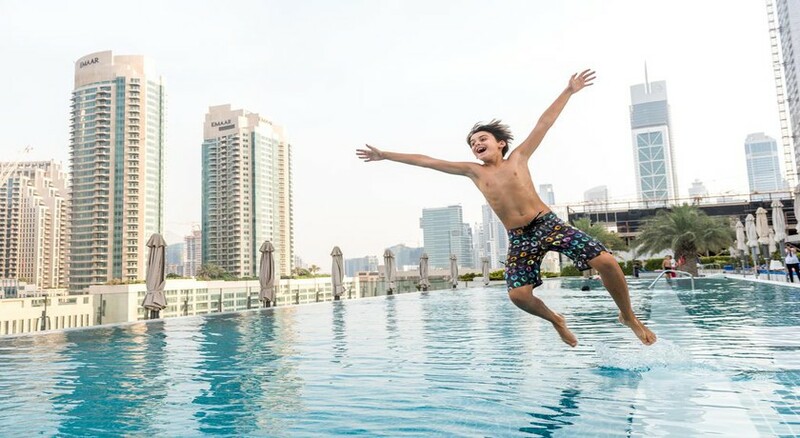 Sofitel Dubai Downtown offers luxurious rooms inspired by the French-style living and have spectacular views of Burj Khalifa and the Arabian Gulf coastline. 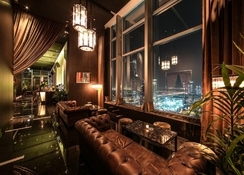 It features 3 restaurants and 3 bars, one sky line on 31st floor, one outdoor open until 3am and one pool bar all with Burj Khalifa view, So SPA and an infinity pool. Each rooms features a flat-screen TV, a minibar and BOSE system. The bathroom is fitted with a bath, a shower and free toiletries. Guests can enjoy electric dining options from Thai fare and French-inspired grills in two signature restaurants, Green Spices and Red Grill. Open kitchens at Les Cuisines offers international dining with French flair. So SPA indulges with beauty treatments, massages, and reflexology. 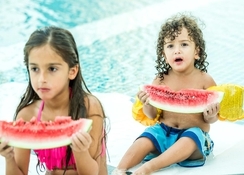 Guests can also take a dip into the pool after enjoying an energizing workout at the gym. Located within 6km from Jumeirahâ? ?s Beaches. Free private parking is possible on site. A Tourism Tax is payable locally for all arrivals from the 31/03/14. 4 restaurants, 2 outdoor pools, and a full-service spa are available at this hotel. Free WiFi in public areas and free valet parking are also provided. Other amenities include 2 bars/lounges, a fitness center, and a poolside bar. 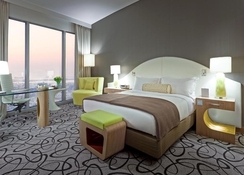 Set a 14-minute walk from The Dubai Mall, this contemporary hotel is also 6 km from Safa Park. Facilities: * Nespresso Coffee Machine * Tea facilities * Club Room with club lounge access. 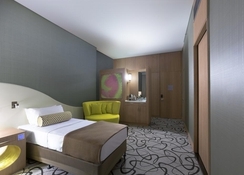 Premium Luxury Rooms have Twin beds only. Extra bed on request for children and is subject to charge 240 AED per night Please note rates and conditions are not available to U.A.E residents.